"Cut Me, Doc, Cut Me. Oh, Check, By The Way"
While everyone is focusing on the World Cup, another big event being hosted by Germany is tragically being ignored: The European Chessboxing Championships. The only board game which requires talcum and a cut man begins on April 21 in Cologne with two fights; the first between German middleweights Stefan Dittrich and Jan Mielke. Then the main event, with 'Anti Terror' Frank Stoldt from Berlin vs. Zoran 'The Priest' Mijatovic from Pulla, Croatia. That last nickname is either terrifying or very sad, we haven't decided which. 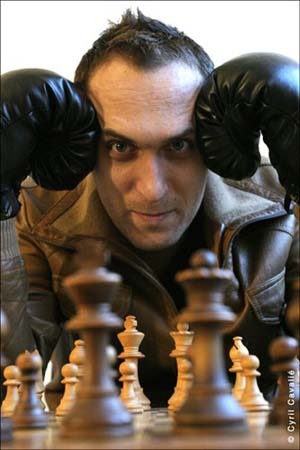 The winner will qualify for the world championship fight, which will take place by the end of 2006. Oh, and don't forget that the World Foosball World Cup is coming up May 22-26 in Hamburg, Germany. Yeah, as if you didn't know.